Foreign secretary Boris Johnson has said that Russia is in danger of becoming a “pariah nation” if it continues to bomb civilian targets in Syria – is he absent -minded or hypocritical? As Steve Schofield summarises, “Through invasion by ground forces and through air-strikes involving missiles and drones, the US/UK military axis has been responsible for the collapse of societies that has left hundreds of thousands of civilians dead or injured and millions more as refugees. The FT in 2013 highlighted a report by Amnesty International which concluded that at least 19 civilians in North Waziristan had been killed by just two drone attacks. In July 18 casual labourers, including a 14-year-old boy, were killed near the Afghan border. The Bureau of Investigation’s 2014 report: America’s drone war has secretly escalated; it noted that it took President Obama three years to publicly refer to his use of drones. In this period Bureau records show drones reportedly killed at least 236 civilians – including 61 children. And according to a leaked CIA record of drone strikes, seen by the McClatchy news agency, the US often did not know who it was killing. In the year after September 2010 at least 265 of up to 482 people killed by drones ‘were “assessed” as Afghan, Pakistani and unknown extremists’. Agence France Presse reported from Afghanistan: Afghan officials said that a NATO airstrike Friday killed five civilians and wounded six others. District governor Mohammad Amin said, “At around 3:30 a.m., U.S. forces conducted an airstrike in Aab Josh village of Baraki Barak district. The airstrike hit a residential house killing five and wounding six civilians”. Niaz Mohammad Amiri, Logar province’s acting governor, added, “U.S. forces were chasing down Taliban militants, but mistakenly bombarded a house. As a result, civilians were victims of the attack”. Edward Luce in the FT pointed out that there is no treaty governing the use of military drones as for the use of nuclear weapons. We summarised his article with added links to Rand Corporation and Stimson Centre. For almost ten years the Central Intelligence Agency has been able to strike targets with impunity. At the moment, Barack Obama orders drone assassinations without having to admit it, or explain himself to anyone. Hundreds of militants have been killed in Pakistan, Yemen, and elsewhere. But hundreds more civilians, perhaps thousands, have also been accidentally killed. Josie Ensor’s report from Istanbul says that a US air strike killed nearly 60 civilians, including children, in Syria after the coalition mistook them for Islamic State fighters. Some eight families were hit as they tried to flee in one of the single deadliest strikes on civilians by the alliance since the start of its operations in the war-torn country. A Saudi-led coalition air strike hit a hospital operated by Medecins Sans Frontieres in northern Yemen, killing at least 11 people and wounding 19, the aid group said. And who is in the coalition? US and Britain have been deploying their military personnel in the command and control centre responsible for Saudi-led air strikes on Yemen, having access to lists of targets. The global charity Medicins Sans Frontieres (MSF) told Reuters news agency that more than 40 civilians, including an eight-year-old in critical condition, were admitted to Abs Hospital after an air strike in the Mustaba district, a region largely controlled by the Iran-allied Houthi militia. Stuart Richardson, Secretary of the Birmingham branch, offers the sanest contribution from Stop the War Coalition (StWC). StWC is opposing the calls for the implementation of “No-Fly Zones” – after the Libyan disaster – and calls for the bombing of the Assad regime by the RAF and allied air forces. It argues that the only solution is the withdrawal of Russia, US, UK and France leaving the Syrian people to determine their own future. “Has the Government adopted a ‘Kill Policy’ in secret – without Parliamentary debate? Thanks to a Moseley reader for the two leads. The Argus reports that MP Caroline Lucas and Jenny Jones (now in the Lords) are calling for answers on whether the Government has formulated a targeted policy and if so, what that policy is, and whether it is legal. Supported by human rights charity Reprieve and law firm Leigh Day, they are highlighting the lack of parliamentary approval for the Government’s adoption of the American style programme. A Letter Before Action (LBA) was sent to the firm on behalf of the MP and the baroness highlighting a lack of consistency in justifications for the strikes and a lack of transparency. Caroline Lucas said: “The Government appears to have adopted a ‘Kill Policy’ in secret –without Parliamentary debate or the prospect of proper independent scrutiny. They point out that the war will be carried out with the cruellest, most destructive and strategically most useless of weapons, the airborne bomb which is “now the all-purpose totemic answer to ‘something must be done’. 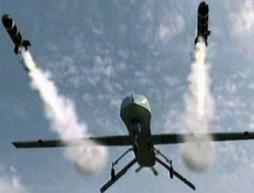 “There is no evidence of the drones’ strategic effectiveness. The killing of Pashtun militants has done nothing to halt the Taliban’s path back to power in Afghanistan. It has merely replaced possibly moderate elders with tribal hot-heads. Obama’s first drone attack in Yemen killed one al-Qaida suspect, 14 women and 21 children. “In a six-year period to 2011 an estimated 3,000 innocents were killed in Pakistan alone, including 176 children. Such casual slaughter would have an infantry unit court-martialled and jailed. Drones are immune. “For the past year, the skies over Syria and Iraq have seen the most devastating deployments of air power in recent times. 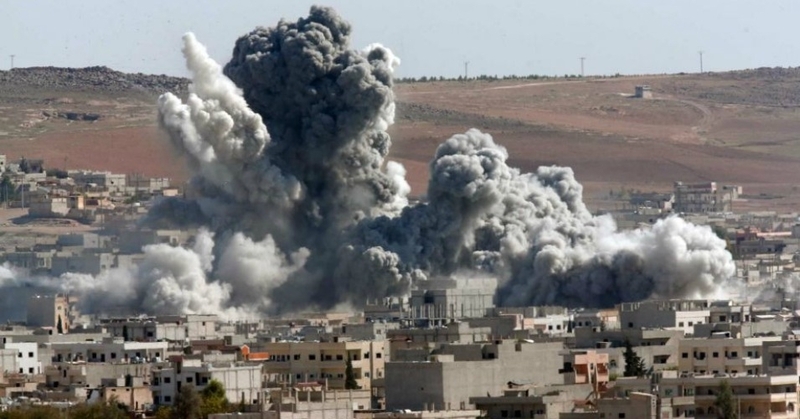 There have been a reported 6,000 coalition air strikes, manned and unmanned. Some 20,000 bombs have been dropped. “If ever in the past quarter century there was a clear humanitarian case for intervening to pacify, reorder and restore good governance to a failed state, it must be in Syria. Dropping bombs is politically cosmetic. It is trying to look good to a domestic audience; a cruel delusion, a pretence of humanity, ostentatious, immoral, stupid”. Mr Batten: for years the CIA in the nominally Christian United States has directed the dropping of bombs on civilians in Pakistan, Somalia and the Yemen. Is supporting local business more than a strategy for building resilient local economies? Today the inbox brought the thought-provoking words of Judy Wicks, a board member of the NEI. Looking around evidence of her adventurous and constructive life was easily found online. Her unusual slant on localisation was extracted from the 24th Schumacher Lecture which she gave in Stockbridge, Massachusetts. As innocents die in Boston, Iraq, Syria, Palestine, Afghanistan and Pakistan, may sanity prevail! As someone living with the after effects of the tour – my son was critically injured by an IED explosion – I thought this was an excellent (if difficult) read. Toby pulls no punches in his narrative. The MOD should hang their heads in shame. Under resourced and poorly equipped The Guards were up against it. Their spirit and determination shine through and the humour is palpable. People asked me didn’t I get angry when my son was injured? At the time I was just incredibly thankful he was still with us, now reading the catalogue of failings and complete ineptitude of the “top brass” I am feeling anger. Anger on behalf of the families of those who didn’t make it back, they lost so much and their lives changed forever, and on a lesser scale, anger for those (and there are many), like my son, whose lives and future will be such an ongoing struggle. MOD – read and be shamed by your penny pinching, your internal politics, and your incompetence in managing scarce resources. Resources, I might add, that would have saved lives. Lt Colonel Thornaloe was right to criticise the lack of helicopters. The low metal content IED’s put every single soldier at risk on a daily basis. Resupply missions by road, based on the IED threat? Justify that if you can. Toby Harnden writes: “So much for that Nobel Peace Prize!” before terming the man who studied St Augustine and St Thomas Aquinas’ Just War theory as ‘Lord High Executioner’. Harnden surmises that “as increasing numbers of America’s critics – and many Americans themselves – begin to question Obama’s eagerness to use drones to kill the guilty and innocent, the Nobel Prize committee may already be regretting its decision”. “Those receiving the metaphorical thumbs-down are condemned to be blown to pieces in some distant, dusty corner of Pakistan, Somalia or Yemen by a Hellfire missile or GBU-12 smart bomb launched from a CIA Reaper drone and controlled thousands of miles away back in the U.S. He notes Senator Obama’s explanation of the 9/11 attacks as being due to ‘a fundamental absence of empathy on the part of the attackers’ and that this grew from ‘a climate of poverty and ignorance, helplessness and despair’ and his voiced intention to raise ‘the hopes and prospects of embittered children across the globe’ while ensuring ‘that any U.S. military action takes into account the lives of innocent civilians abroad’. In opposition, Obama opposed the detention without trial of suspects at Guantanamo bay, but has since become willing to continue rendition flights and secret tribunals but as President, he preserved the options of rendition flights, secret military tribunals and indefinite detention without trial, escalated “an assassination programme that ensured few interrogations would need to take place”. Video footage of dead children, as well as tribesmen displaying parts of U.S. missiles, probably helped the Al Qaeda cause, doing more damage to America’s image than if its target had been allowed to live. Though Baitullah Mehsud, the leader of the Pakistani Taliban, did not pose a direct threat to the U.S. Obama approved his assassination, though he knew his family would also die. Similarly, a drone attack in Yemen in December 2009 killed not only the target, but two innocent families. If Obama is not re-elected will he find a region willing to accept him as ‘peace envoy’ – or has the similarly bloodstained Tony Blair taken the only option on offer?